RMS (Route Management Services) is a unique business venture in the field of incident risk management. The company was established in 2009 by a group of extremely qualified individuals, with extensive knowledge gained from their many years in the trucking and logistics industry. We have successfully developed state of the art software & hardware technology solutions that allow us to provide our transport clients with a full range of incident management products. As a result, and with great benefits to both the transporter and insurer alike, we skillfully manage and monitor all trucking incidents locally and across borders. With highly trained & competent staff, the most effective digital management system and a countrywide network of selected service providers, RMS is most assuredly the leaders in this domain. To be the most successful and respected “Incident Risk Management” company in Africa. RMS strives to deliver world-class Advanced Risk Management in the Transport sector by providing products and services designed, built, supported and driven by homegrown technologies and self-motivated staff. All of which are aimed at ensuring the client’s business sustainability and affordability with cost-saving risk management measures. We will at all times conduct our business with integrity and honesty and the truth in everything we say and do will always prevail. We will provide amazing service to our client base, service providers and insurers and we will establish relationships that will withstand the test of time. We will guard our reputation and continuously improve and build thereon and never forget that our reputation is our foundation. The quality of our products, service delivery and device will be the best in its class and envy of our competitors. We will lead the market in commercial vehicles risk technology and we will endeavour to remain the number one choice of clients and insurers alike. 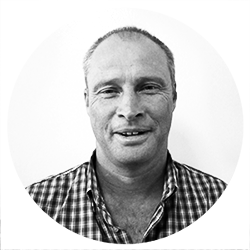 Michael has 24 years experience in the towing, mechanical and recovery industry, he also has many years experience in the hazardous chemical clean up industry. Through his career with the SAPS, where he specialised in hi-jacking, Michael has proved to be a great asset to the RMS management team. Michael has sound technical know-how and an invaluable knowledge of the transport industry. Derek is an MBL graduate with more than 10 years experience in the project management, design and implementation of IT systems. Due to his exposure he has vast experience in the fundamentals of process flows and procedures. Derek has over 20 years of experience in senior management and solidifies the RMS management team. 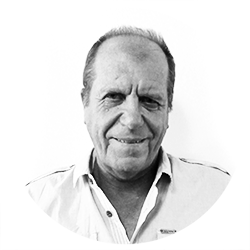 Cliff educated at Maritzburg College and Natal University, and is married with two daughters. 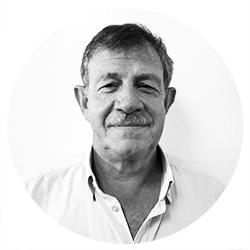 Prior to joining RMS Cliff spent 14 years as the financial director of a large Maritzburg manufacturing concern, before moving into the insurance industry for nearly 10 years. His financial and insurance background is a valuable asset to the RMS management team.